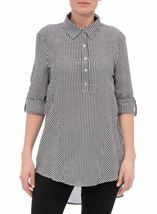 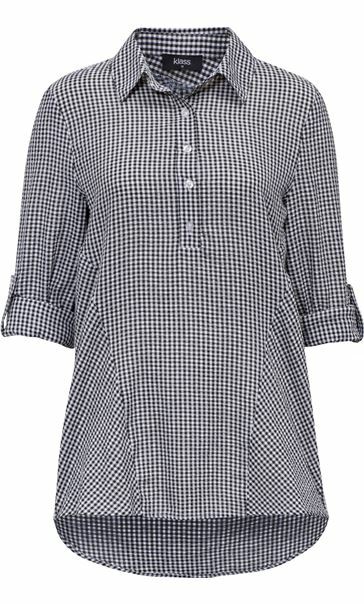 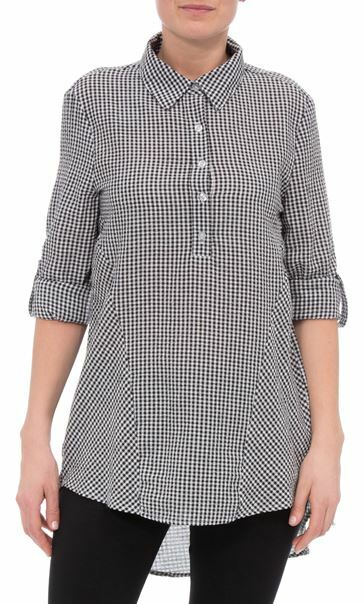 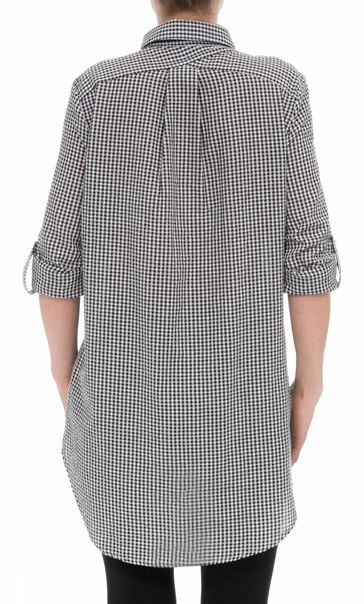 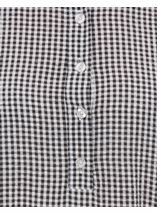 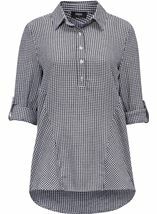 Black and white seersucker gingham top with a dipped hemline, perfect teamed with skinny jeans or leggings. 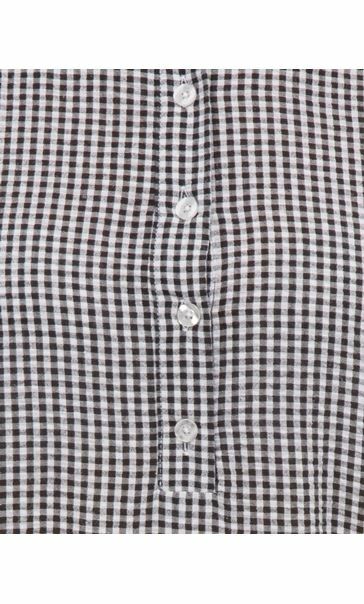 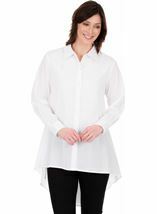 Featuring long turn back sleeves and five button fastening to the front. 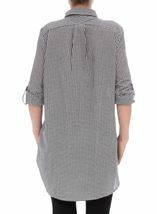 Back length 88cms.